In the following post we’ll give you an overview of Dubrovnik accommodation, pros and cons for each of them, neighbourhoods and other tips to help you make a savvy decision on where to stay in Dubrovnik. In this week’s Croatia travel tips we are sharing our tips for first-time travel to Croatia. 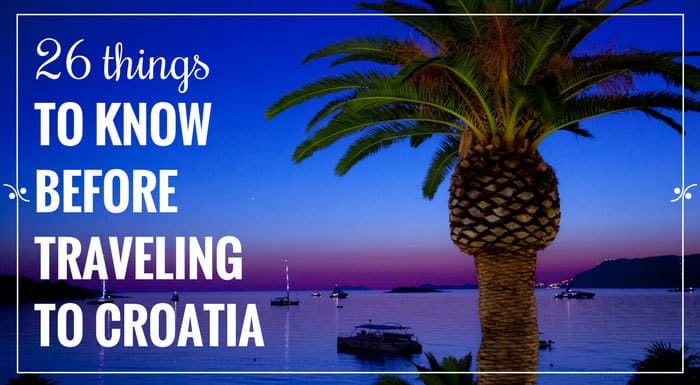 Readers of our blog, often send us emails with questions regarding their upcoming, and often first-time, visit to Croatia. So we’ve decided to publish a post with some of the most common concerns, misconceptions, and general tips. Long gone are days when Zagreb looked like a provincial village on a fair day during the Christmastime. Now, advent in Zagreb is one of the best Europe. In fact it holds a title of The Best Christmas Market in Europe for the last three years.